Melissa and Steve (amazing videographers) have started a tradition in their marriage that we think is the best. They got married two years ago and their plan is to travel to a new city each year for their anniversary and have their photos taken in each place. Last year they went to Paris. So beautiful! This year for their anniversary, they traveled from Toronto, where they live, to Nashville to go to Bonnaroo and see the sights and eat the eats around Nashville. Their trip happened to fall directly on CMA Fest week, but we still rocked downtown, only getting photobombed once by an inebriated stranger. 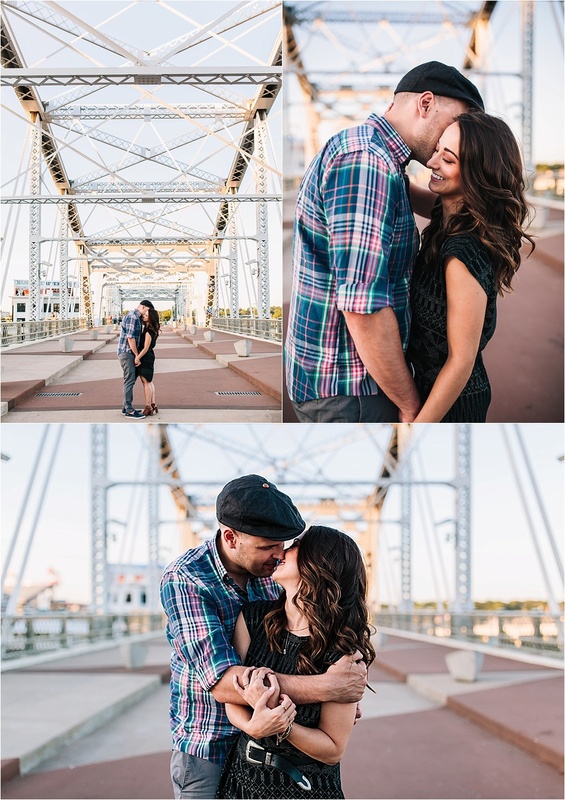 Love this beautiful, cuddle-filled session. Cheers to year three! Also, can you two start a blog of your photo sessions so I can follow along with your travels, pretty please?